The AW900xTP features our popular xTR series radio technology integrated with a high gain 12.5 dBi flat panel antenna. 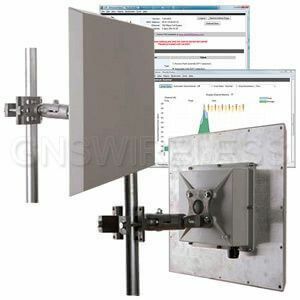 It provides a rugged, weatherproof and easily mounted combination package for those applications that can benefit from the increased range and decreased interference that a directional signal provides. The AW900xTP includes a built-in spectrum analyzer and is IP addressable with web browser based remote configuration and diagnostic tools included.